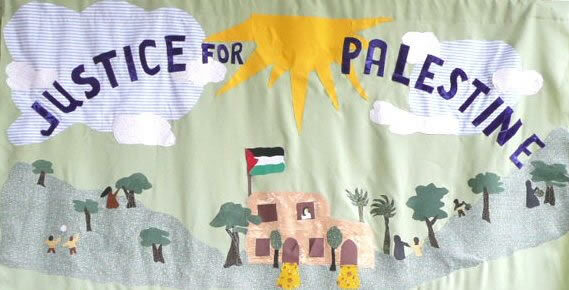 Thalia Campbell of Wales was the inspiration and teacher for these banners. 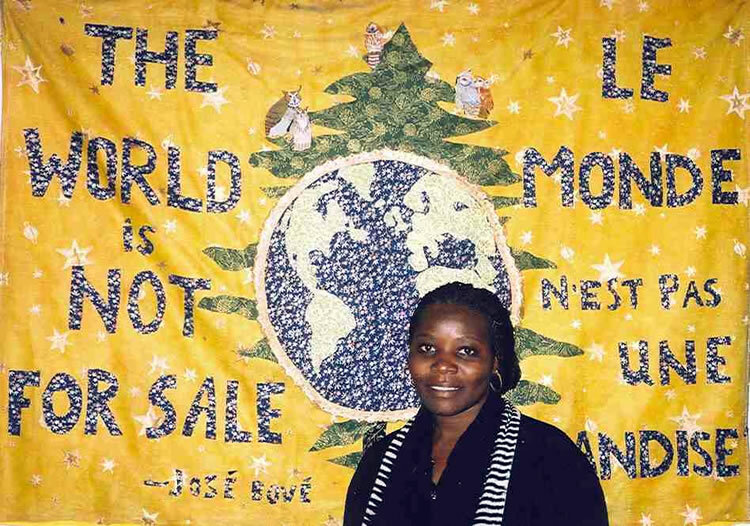 Theresa and Thalia met on 1995 Peace Train to Beijing Women’s Peace Forum. 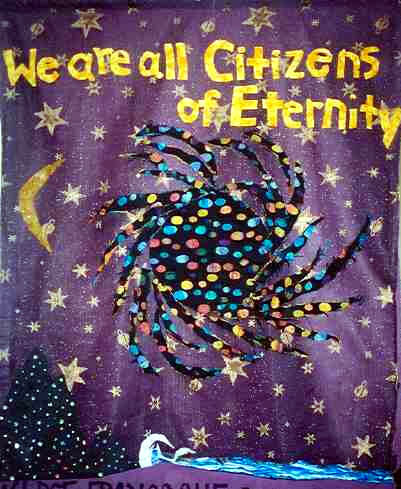 Thalia had many beautiful handmade banners. 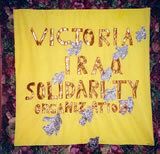 Several years later BBCF invited her to Victoria to give a banner-making workshop. 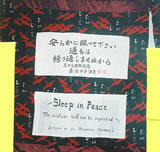 The INJUSTICE MUST STOP banner was the result of this workshop and the hands on it are the hands of participants. 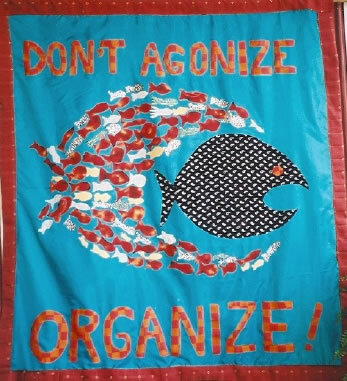 The unique feature that developed in the making of this banner was that the first word is removable. We now have 20 different words for different occasions to button onto the banner. 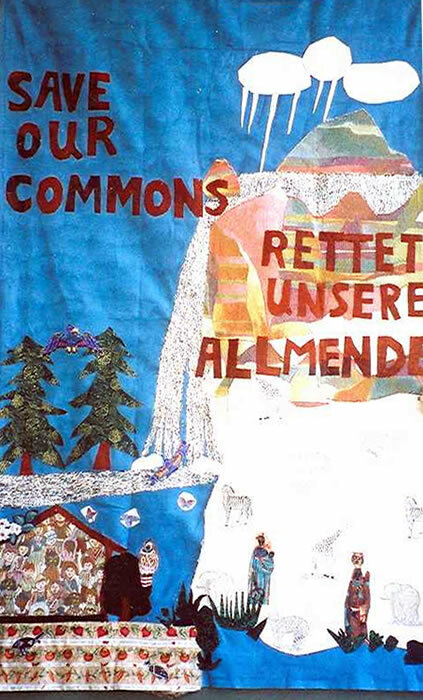 Since then Theresa has made more than 24 banners and BBCF has given many workshops to pass the skill onto others. 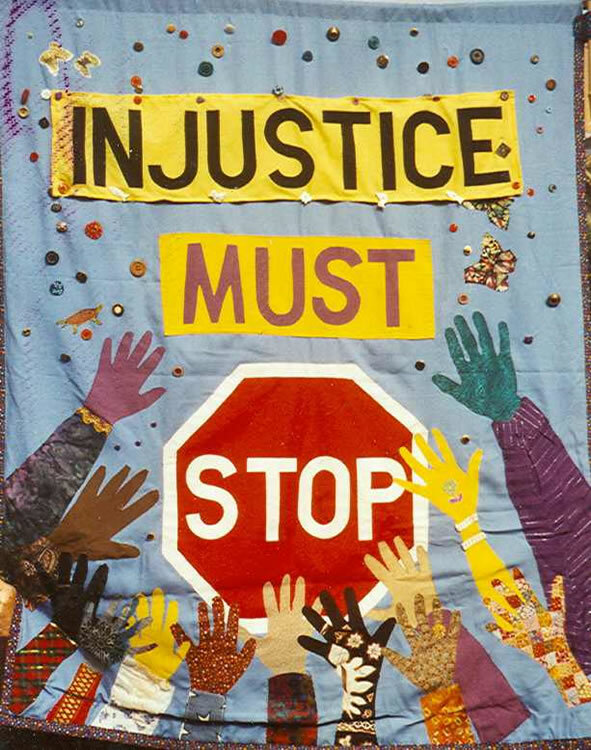 These banners have been exhibited around the world and displayed at many events in Canada. 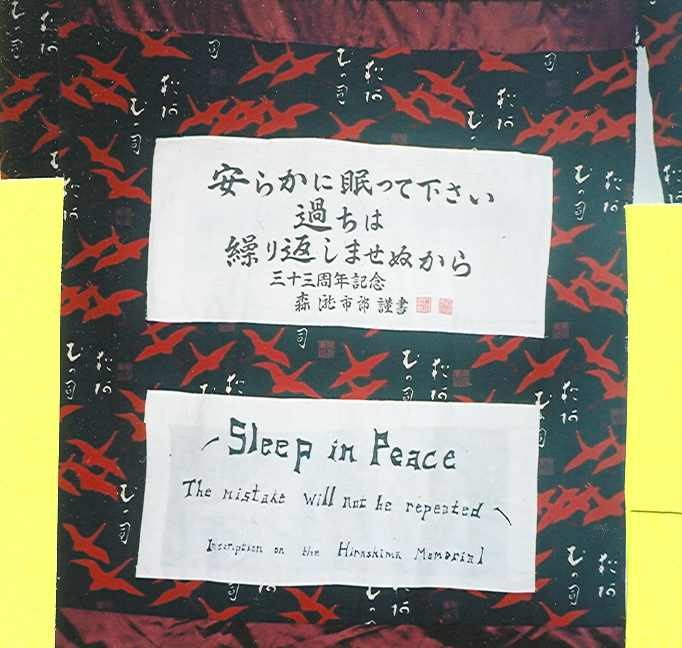 The first banner – made in the workshop described in the introduction. The BBCF logo. 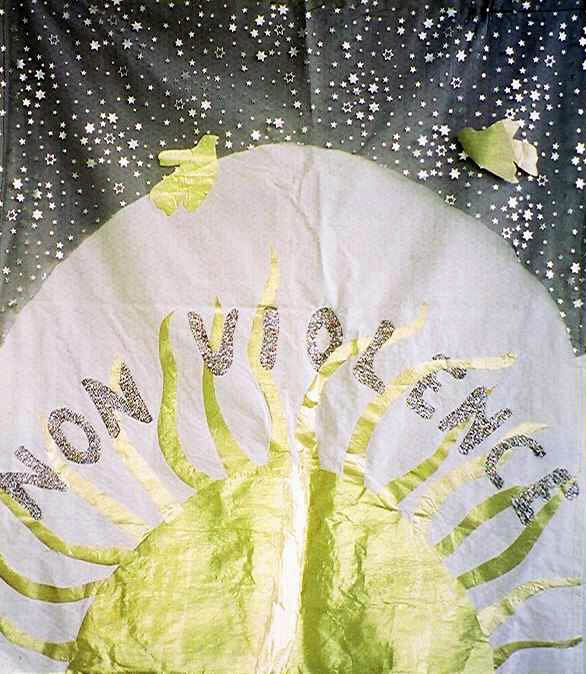 This banner was first displayed at a peace conference in Finland in 2000. 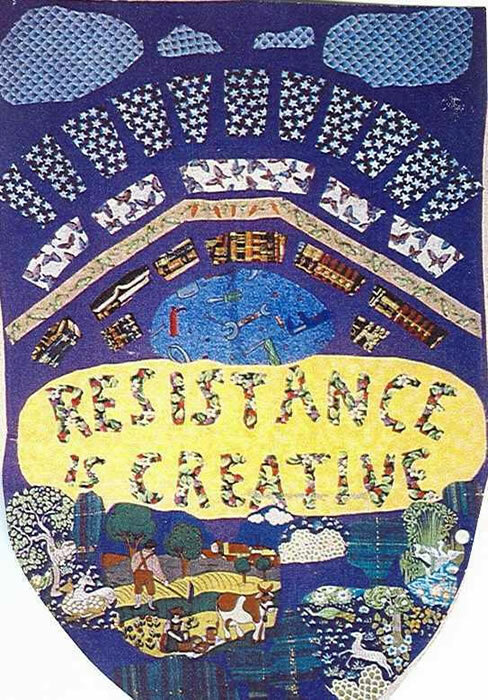 Made for the Resisting Global Militarism conference in Victoria in 2001. 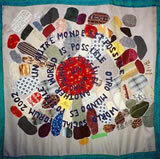 Made in 2002 when the G-8 leaders of world’s eight richest economies met in Alberta, Canada. 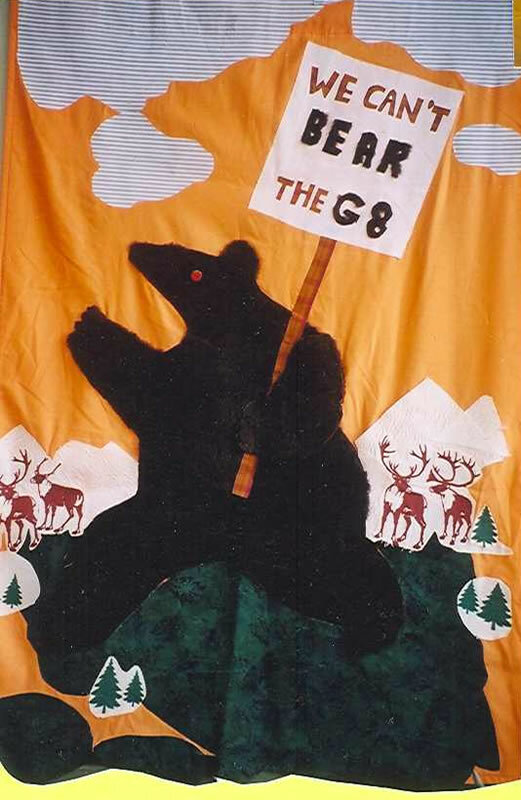 Massive security was provided for these eight men; but a baby bear came close to the luxury lodge in the Rockies and was shot dead by the police- so the banner was unfortunately prophetic. 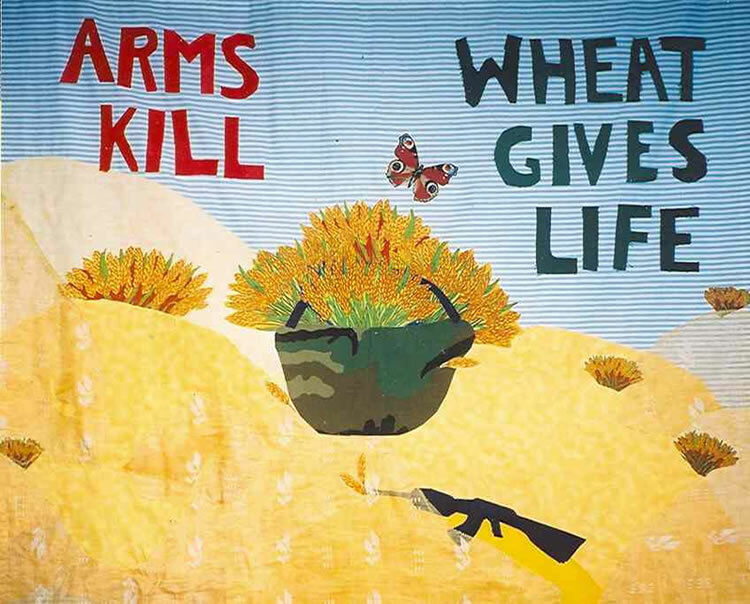 The slogan of French farmers who resisted the use of farmland as a military test range. They won and the land remains as farms and sheep pasture near Roquefort. 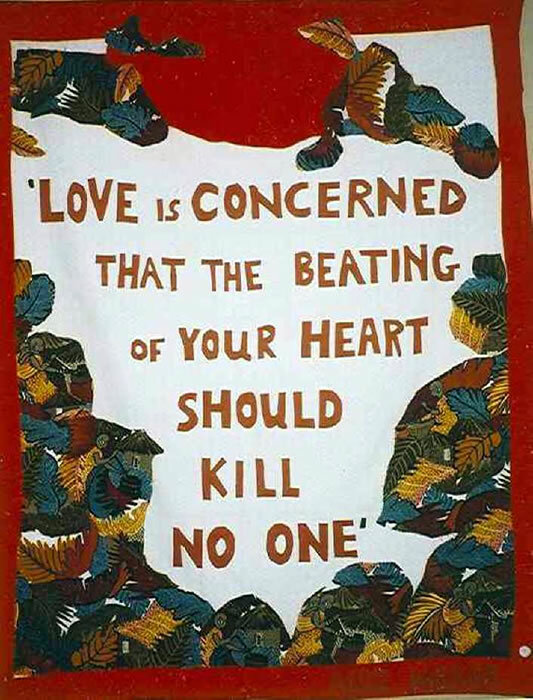 One of many famous sayings by Mahatma Gandhi. 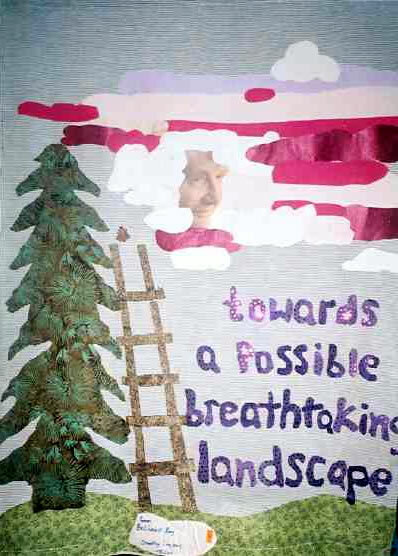 Artwork for his face by Elizabeth Mayne. 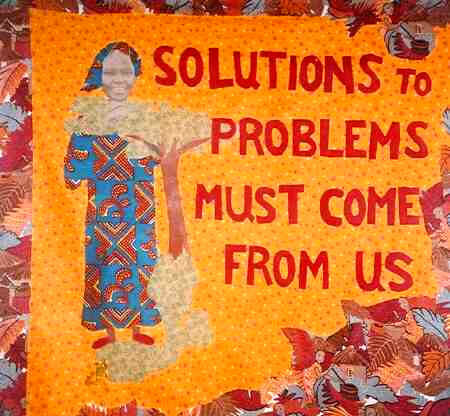 Written in Spanish and Portuguese, is a quote from Chilean poet, Pablo Neruda. 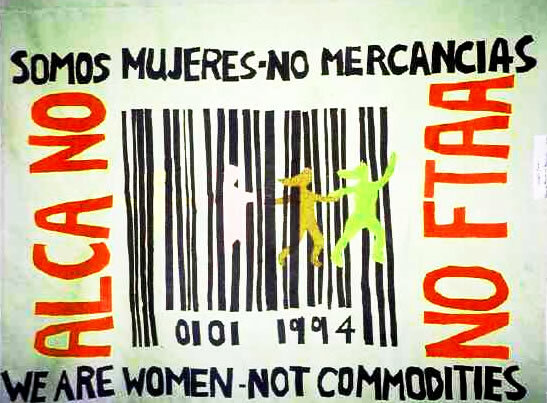 It was made for the World Social Forum in Brazil in 2002. 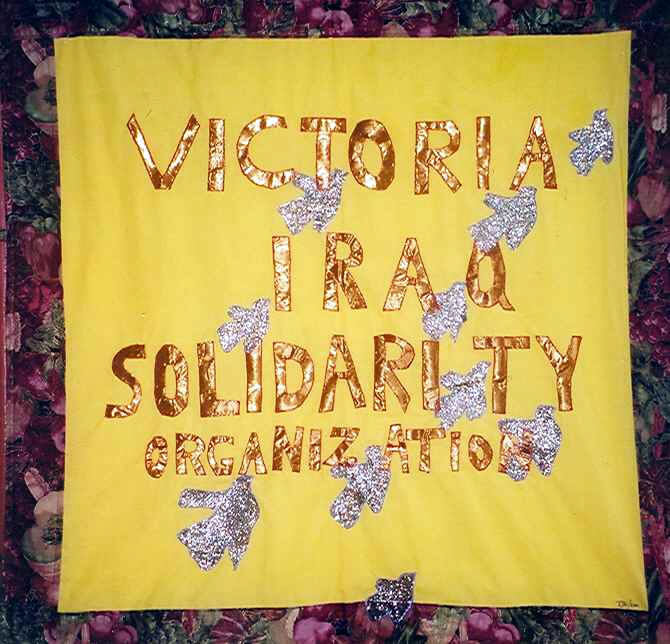 A local group that educates Canadians about Iraq and supports justice for Iraqi citizens. 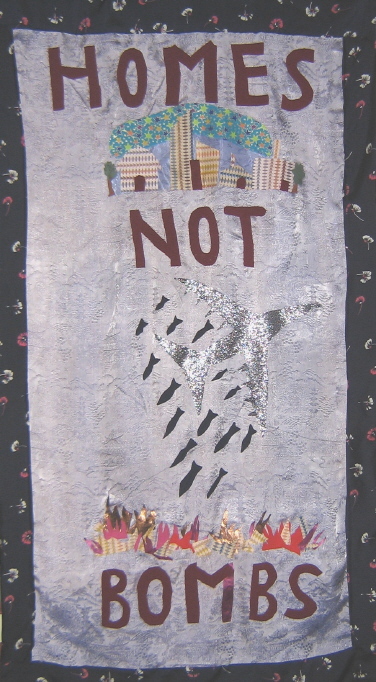 Made for a peace conference in Ottawa following September 11, 2001. 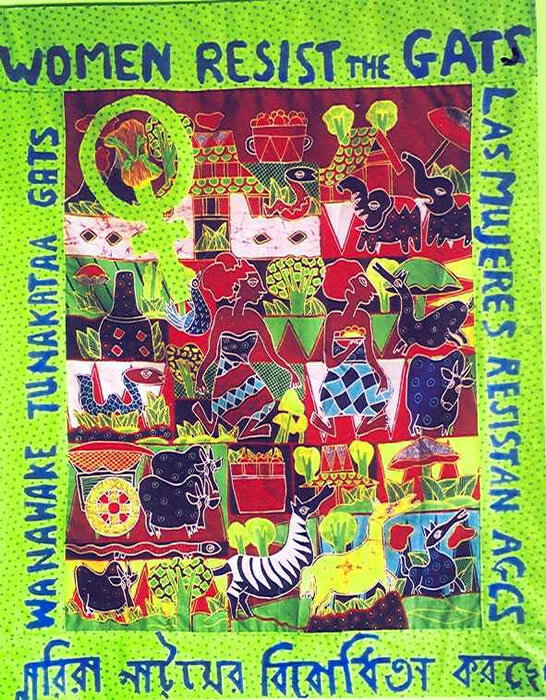 In English, Bengali, Swahili, and Spanish for an international conference on Women and the GATS in Cologne, Germany, May, 2003. 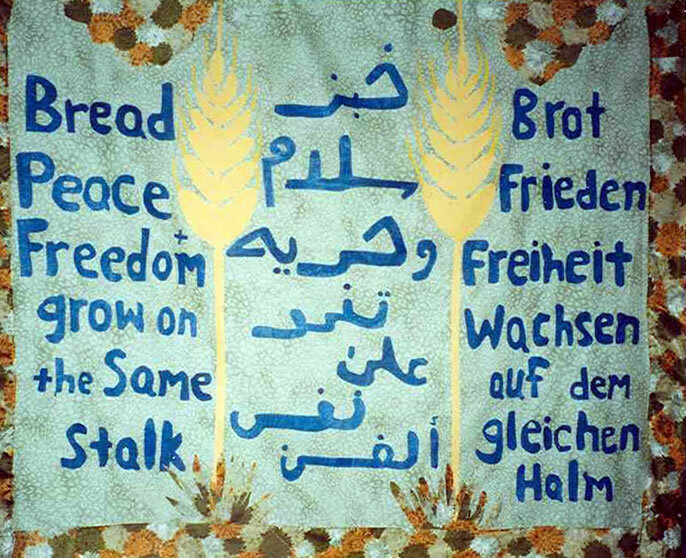 A German expression that is in Arabic and English as well on this banner made for resistance to the USA-UK war on Iraq in 2003. 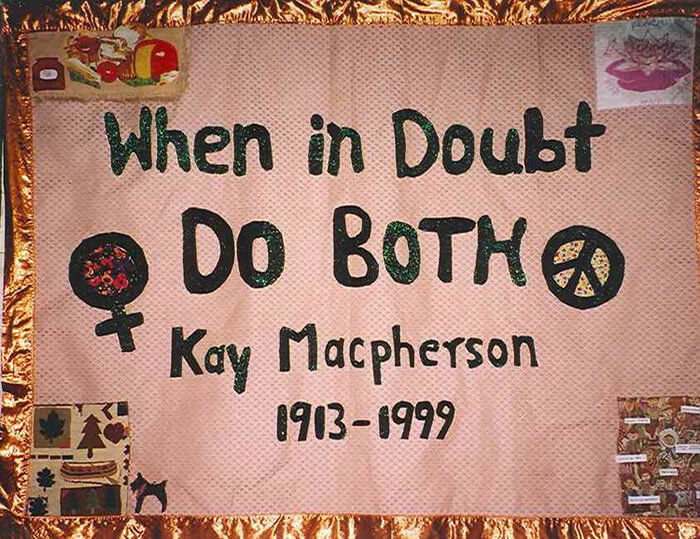 The words of the late well-known feminist, peace activist, Kay Macpherson. 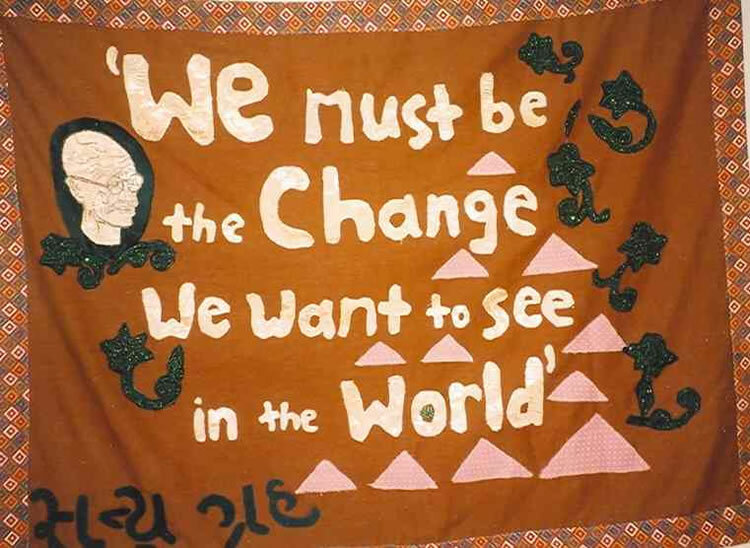 Always active, these words were her reply to any debate about different tactics and gave the title to her autobiography. 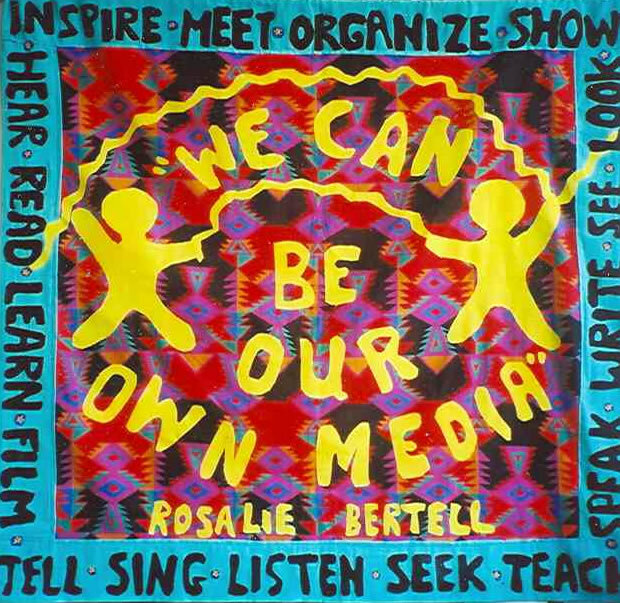 An unforgettable quote from a speech given by Rosalie Bertell at the UN Beijing Women’s Forum, 1995. 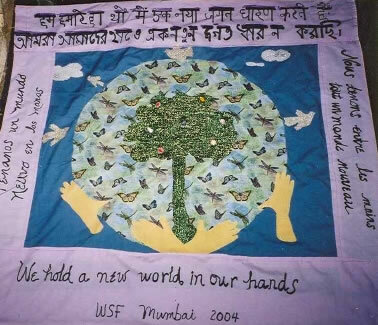 A multilingual banner made to be displayed at the World Social Forum in Mumbai, 2004. 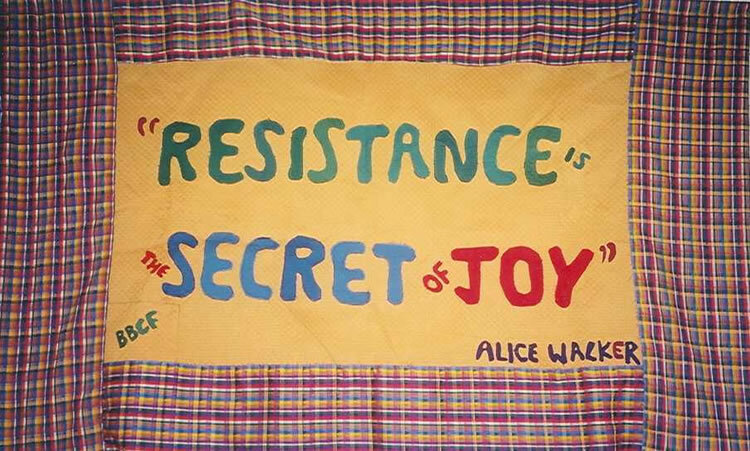 A famous quote from the Afro-American writer, Alice Walker.The first banner made after the Campbell workshop. 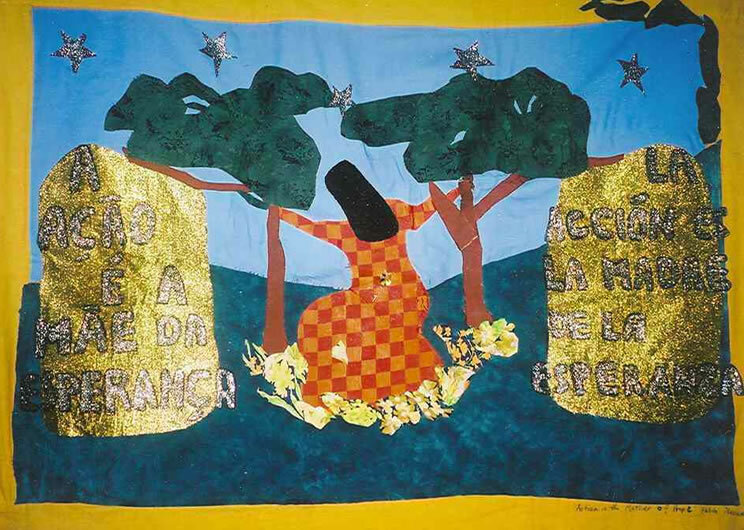 In English and French is the rallying cry of the French farmers movement lead by democracy and anti-GMO activist, Jose Bove. 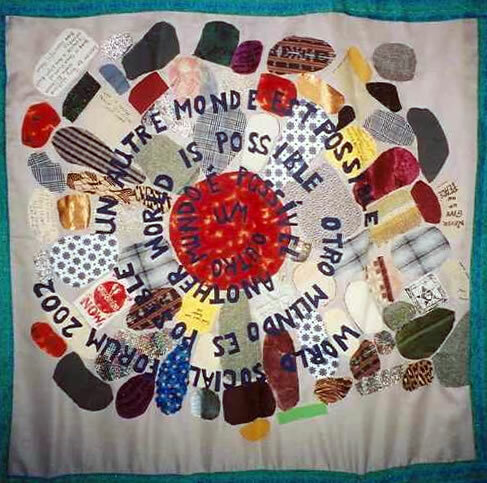 The call for the World Social Forum in English, French, Spanish, Portuguese based on a stone mosaic of contributions of stone from around the world in Porto Alegre, Brazil. 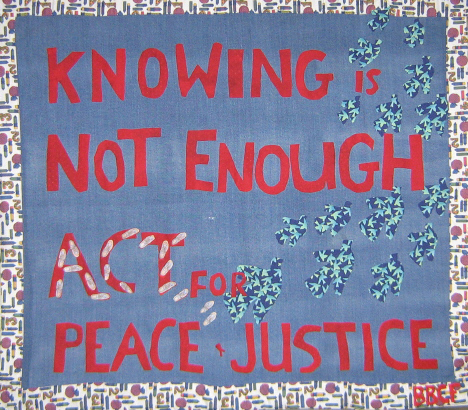 A quote from Maria Mies, the German writer and activist, on this banner made in response to September 11, 2001. 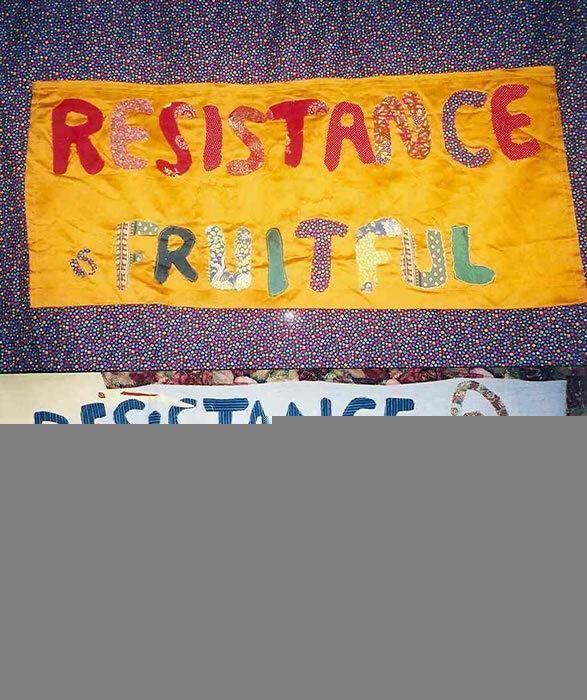 An early banner and RESISTANCE IS FERTILE was made in 2001 in response to an AD on the back of a school bus for McDonald’s that said: Resistance is Futile. 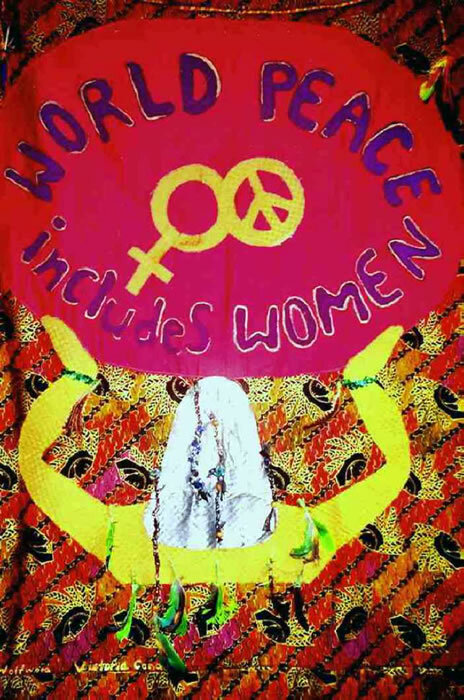 WORLD PEACE INCLUDES WOMEN Made for my friend Marya Nyland to take to the Hague Peace Conference. 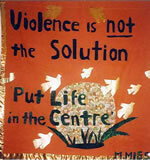 This is the last line of the poem “Bellhouse Bay” by the great Canadian poet, Dorothy Livesay. 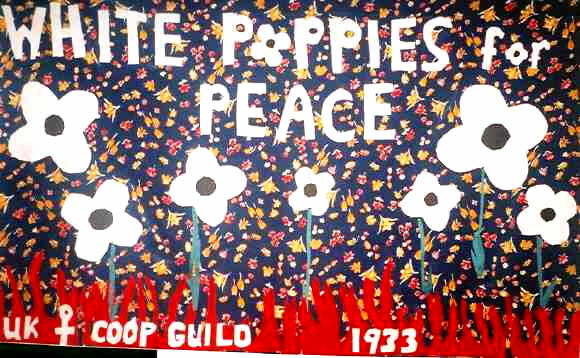 An action initiated by WW I war widows and supported by UK Women’s Coop Guild. A quote from the great Russian writer, Dostoyevsky. 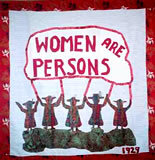 This banner is based on a design by World March of Women. 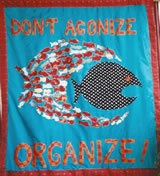 FTAA was not ratified by its deadline on Jan.1,2005. 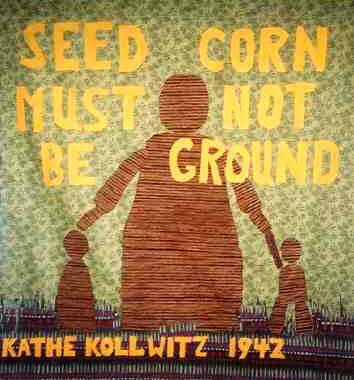 A quote from a famous work by German artist and pacifist, Kathe Kollwitz. 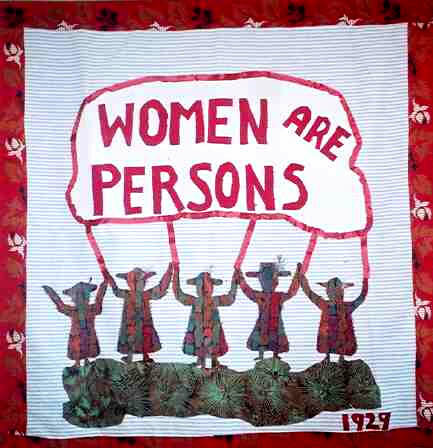 This commemorates the five Canadian women who fought and won a legal case to have women declared as persons. A quote from the Kenyan activist’s Nobel Peace Prize acceptance speech, 2004. 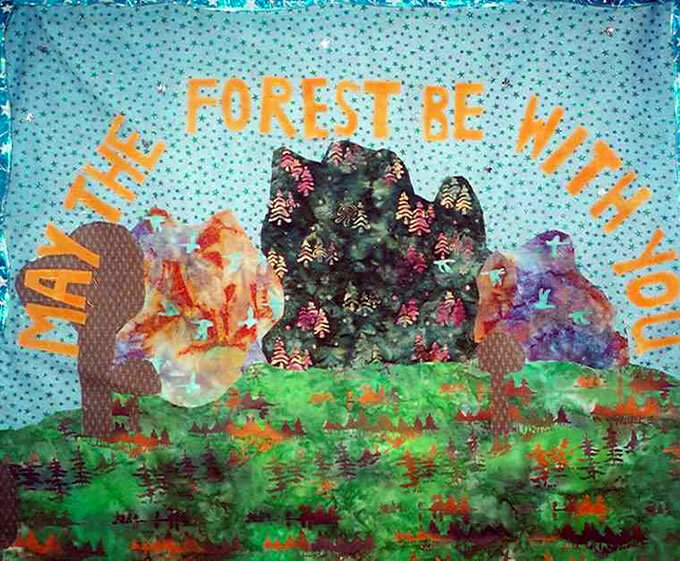 Unknown source for a strong environmental statement. 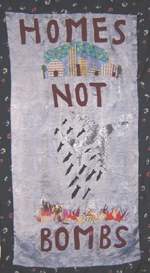 Made for WE CANNOT CELEBRATE events on May 17, 2008 – until there is justice for Palestine, we cannot celebrate the 60th anniversary of the state of Israel.